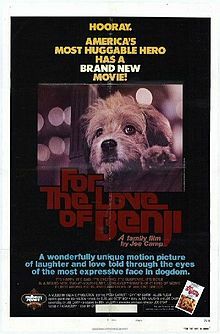 In this film, Benji is lost and becomes a stray animal in Athens, Greece, trying to reunite with his family while secret agents pursue him, seeking a formula which was glued to his paw in order to get it past customs. Benji hides in the ruins of the Acropolis, where he is befriended by another stray, and in the narrow streets of an old Greek neighborhood, where he is pursued by a vicious Doberman Pinscher dog who has been brought in to kill him. Faktiskt ännu bättre än orginalet med Benji.